Trivia: This is first folklore film in Telugu. With the elaborate sets, lilting tunes, strong background score, picturization and of course, Kanchanamala-Govindarajula, the movie worked wonders. 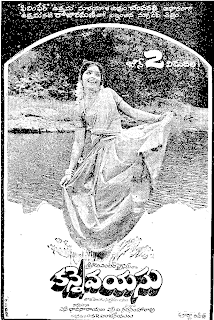 In Andhra and Tamil Nadu alike, the movie was a trendsetting folk-based successful venture and ran for more than 25 weeks. After Bala Nagamma, there was no looking back for Gemini. 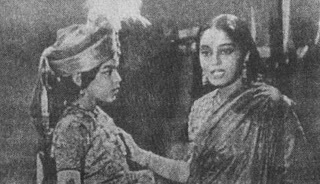 Relangi played the role Talari Ramudu both 1942 and 1959 versions of 'Bala Nagamma' and Lanka Satyam did the role Chakali Tippadu in the same versions. 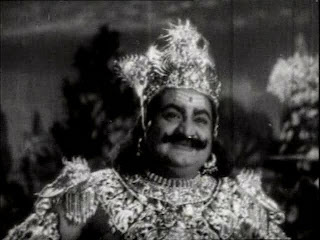 Govindarajula Subba Rao was the first doctor who became an actor in Telugu. This was first Telugu movie, which run 25 weeks in Tamilnadu.